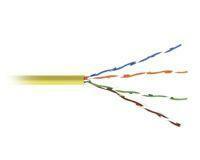 Let’s break down the basics regarding CAT 5/5e/6/7 cables. Cat 5 is the slowpoke of the bunch which is 10/100 Mbps up to 100MHz. 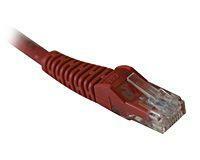 Cat 5 is nearing its extinction and has been replaced by CAT 5e, which is the most used category cable with its ability to reduce signals and channels from interfering with each other. 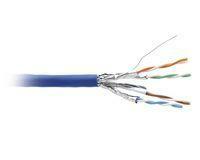 CAT 6 is the next level up and can go up to 10 gigabit Ethernet at up to 250MHz. Lastly, the CAT 7 which is the most durable out of all category cables, is also the most expensive delivering up to 600MHz. For any questions regarding category cables, please call one of our knowledgeable agents for assistance.